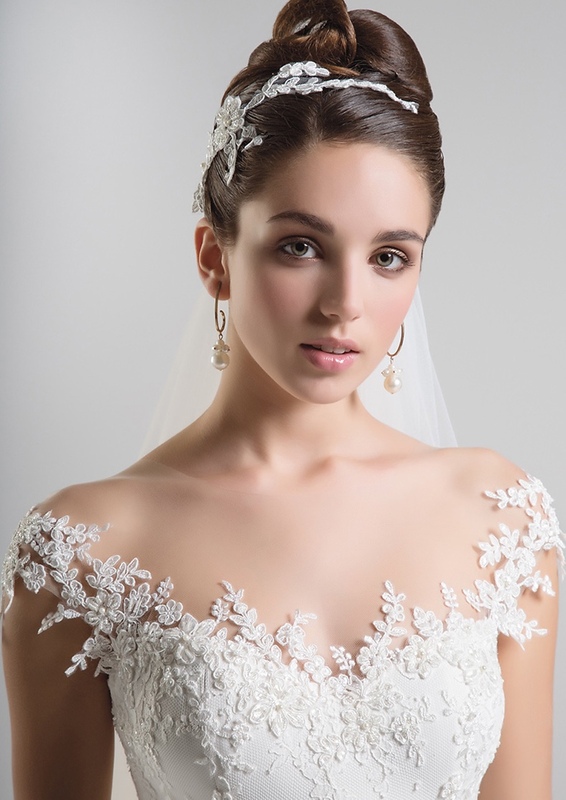 The Anna Tumas bridal atelier creates bridal collections that are absolute works of art. Inspiration seem to come from evanescent glimpses seized in dreams and in the majesty of nature, enchanted by its light flickering and its heavenly shapes. To Anna Tumas, bridal gowns represent the fulfillment of the natural beauty that every creature is endowed with and which needs only to be emphasized by precious fabric and perfect lines, in a unique harmony of charm and simplicity. Every wish of the bride becomes real: romantic, classic, and princely bridal gowns, lace gowns, redingote and empire style gowns, absolutely created by the inspiration and creativity of Anna Tumas couture. The made to measure bridal gowns created in the atelier by the stylist with the help of very expert dressmakers and embroiderer, reach their perfection when modeled on the bride. When the bride tries on her gown, the stylist gets inspiration from her essence and uniqueness to add peculiar details only for her. Every gown of Anna Tumas bridal collections is completely designed and made in her haute couture bridal atelier in Rome. The stylist takes care of every little detail of her creation, as a painter does with his painting.